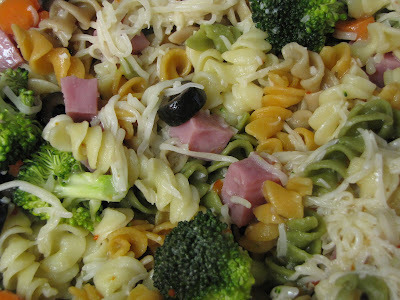 My favorite summer food....pasta salad! You take that ham out and I'm on my way. No joke.